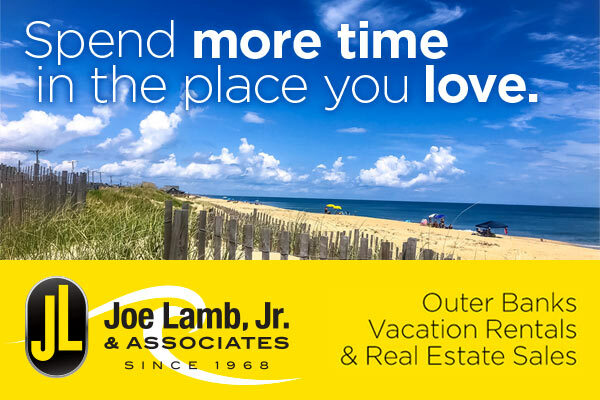 For nearly 50 years Joe Lamb Jr. & Associates has been offering cutting-edge vacation rental services within a welcoming company culture that hasn’t lost its heart! In today’s digital world, you might not expect such personal attention to detail. But that might just be why Joe Lamb, Jr. & Associates will celebrate a half-century in 2018. How can 50 years of experience help you buy or sell Outer Banks property? In science a wave is defined as a transfer of energy. In society it can commonly be defined as a friendly, welcoming gesture. At Joe Lamb Jr. & Associates they strive to incorporate both energy and friendliness into their business strategy. In a sea of property management companies, what makes one company rise to the top? Joe Lamb, Jr. & Associates stands out not only for experience (they’ve been providing management services on the Outer Banks since 1968! ), but also for the individual attention they provide every homeowner and guest.